Heather, born and raised in Danvers, and now living in Salem, came to love fitness later in life, after spending her middle and high school years thinking “fitness” meant sitting in the outfield or endless laps around the track. Upon finding that group exercise was a completely different experience than gym class had been, she decided it was her goal to spread the love and has been teaching group exercise classes for 2 years. Indoor cycling is her favorite class to teach, because it allows people to dig deep and push themselves in a way that is fun and empowering. She never wants anyone else to feel that fitness is inaccessible or boring. She believes that everyone, from the newbie walking in for the first time to the dedicated gym bunny, should walk out of class feeling happy, strong, and accomplished! 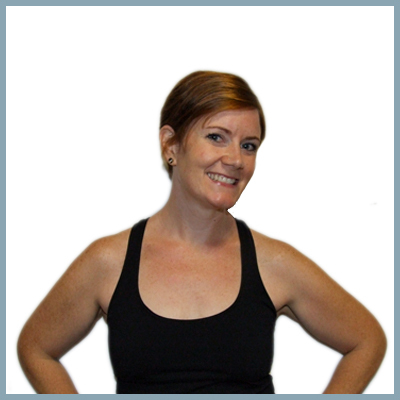 Heather is also a NASM certified personal trainer. Aside from being a group exercise junkie, Heather loves being with her wild twin daughters, husband, and crazy dog.